Combine all ingredients in a small saucepan and heat just till sugar dissolves. Pour into molds and refrigerate till firm (about 20 minutes or so). I sometimes grease the molds with oil to make them easier to get out. I use a sharp knife to loosen them out. Store any leftovers in the fridge. These are really simple but you’ll need at least 2 candy molds from Wal-Mart (craft section usually), or a Hobby Lobby or Michael’s. I also bought a gummy making kit from Michael’s. It had all the artificial stuff in it, but I threw that out and used the mold b/c it was of a worm, spider, grasshopper, and frog, and then it also had a nice squeeze bottle to fill the molds with. We got hearts, stars (these are hard to get out), and baby molds (the baby molds had bears) from Wal-Mart. You can use your favorite juice or pop to make these. The more flavor the better. The kids like 365 Root Beer (from Whole Foods) the best, or Blue Sky Root Beer from Woodman’s. Sir Strawberry juice (stage 2) from Trader Joe’s would probably be good too or Simply Fruit Punch (not approved but seems OK). We’re going to experiment with some Izze pop flavors next. My kids love making these, and like them in their lunches for school. These can be Feingold Stage 1 (root beer or key lime pop) or stage 2, depending on what you use. 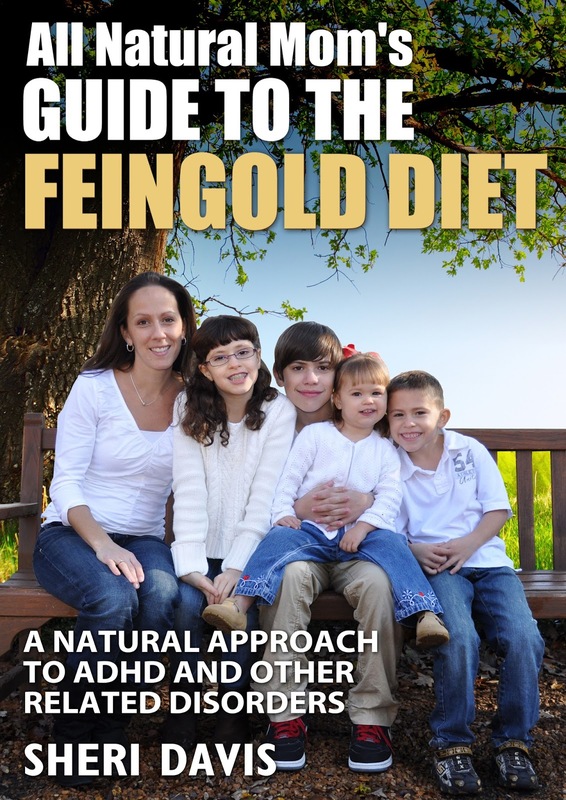 For more info on how to avoid dyes, artificial flavors, and preservatives, check out my new book,“All Natural Mom’s Guide to the Feingold Diet – A Natural Approach to ADHD” available now on Amazon!